More and more socialists in Scotland have joined, got involved in, and decided to vote for the Scottish Green Party. Here are eleven reasons why. Greens have been clear in their support for bringing public services back into public ownership, and have always opposed part-privatisations like the Private Finance Initiative. The party also supports measures like the right of workers to buy out their company and turn it into a co-op, which would lead to a radical shift to a more equal and democratic economy. 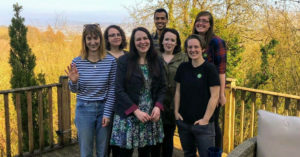 Greens have opposed austerity from the outset, fighting to defend services at a local level and arguing against this failed economic dogma at a national level. 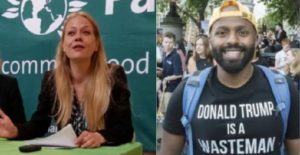 Greens are proposing to increase tax to 60% for all earnings over £150,000, as well as asking everyone earning above the average wage to pay a bit more, and cutting taxes for the least well off. No other party in this election is proposing anything more radical, and all of the bigger parties are only proposing minor tweaks to the tax system. A quarter of the Greens’ lead candidates are former senior trades unionists, and the Greens have a long history of supporting trade unionists when they strike: something which can’t be said of Labour. Greens don’t just oppose the Tory Trade Union Bill at Westminster, but want to abolish Thatcher’s trade union restrictions too, and argued for the devolution of trade union laws to do just that. Greens are also arguing that the Scottish government should insist that every company they buy from recognises a trade union. Scotland has the most centralised land ownership pattern in the Western world, and it’s no coincidence that prominent land reform campaigner Andy Wightman is standing for the Greens. The party has the most comprehensive plans to allow communities to take the land they rely on into community ownership. The way that houses have been turned from homes into financial commodities is at the core of Britain’s raging inequality, and the Greens have clear proposals to end this conveyor belt of cash from the 99% to the richest 1%: proper rent controls; a ‘land price freeze’, building proper social housing and serious land reform. The Scottish parliament doesn’t have the power to regulate banks, but it does have control over the houses which banks use to rip us all off, and it’s time for it to use that power. Scotland is one of the most unequal countries in the Western world, and Green proposals for taxes, and for a government strategy to create well paid jobs in the industries of the future, are the only serious plans to deal with this. 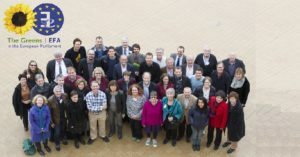 Greens are vocal opponents of trident nuclear weapons, and of wars in Afghanistan, Iraq, Libya and Syria, and have a long tradition of solidarity with oppressed people around the world, including the peoples of Palestinians, Kurds, Tibetans and Bhopalis. 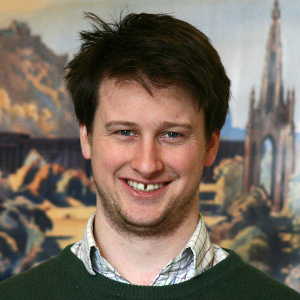 Greens believe Scotland should be independent and that, in the modern world, we should have an elected head of state, not a hereditary monarch. From Syriza in Greece to Podemos in Spain, to Bernie Sanders’ movement in America, socialism in the 21st century is about building a democratic economy, bringing together feminism, LGBTI rights, environmentalism and workers’ rights and ownership. 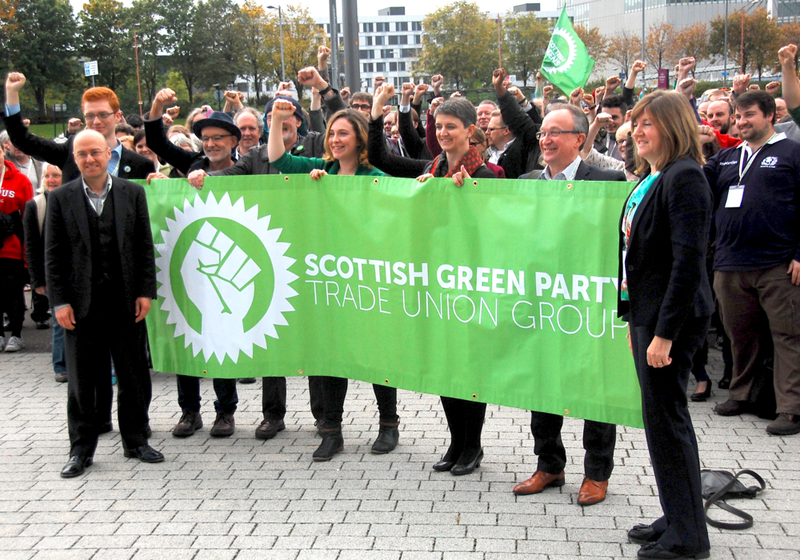 In Scotland, it’s clear that Greens represent that movement for modern socialism. And voting Green is the best way to get them. I and many others would have preferred to vote Green in the constituency of Moray. We find ourselves, probably not able to vote from a position of genuine support for any of the other 4 parties. I consider myself a socialist and support all the Green politics, but you do not identify your party as socialist. Why not join the RISE Alliance and work out an arrangement for sharing the list vote and standing in the constituencies?